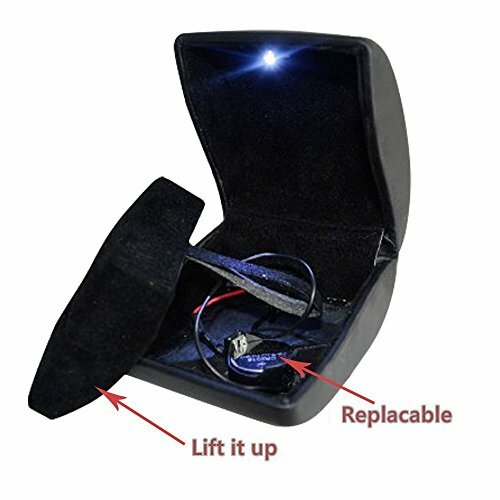 A breath-taking and highly elegant engagement ring box, this wonderful and amazing product is by far the most perfect way of keeping safe your special ring before you ask the big question! 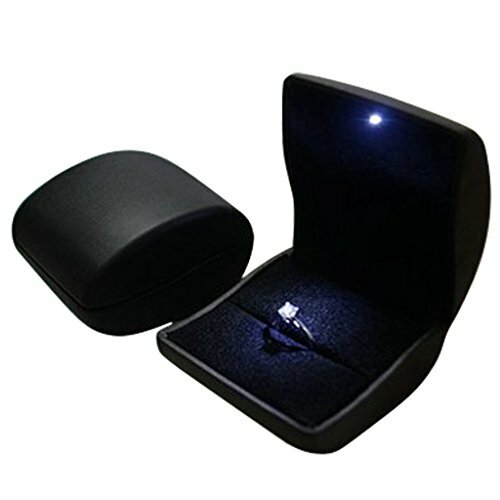 It is a truly graceful and unique piece of art that will definitely highlight the beauty of your engagement ring as well. 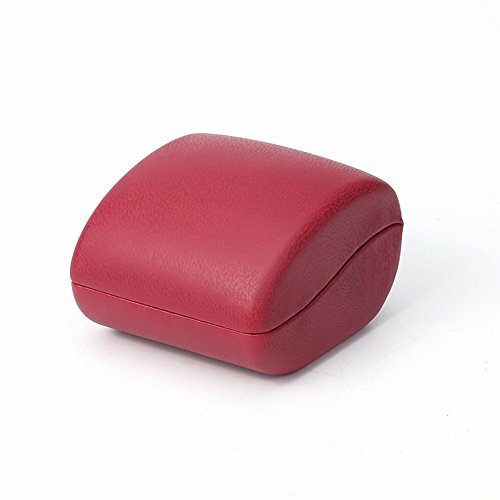 The box has been made out of high quality PU leather and its interior is a gorgeous and fine velvet material that will further protect your valuable ring. 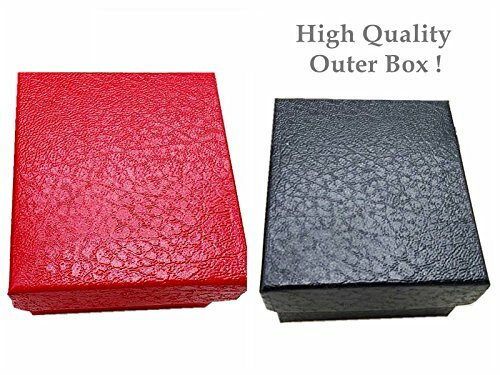 You can either get the classy black version or you can choose for the rich dark red version. This jewelry box is rather roomy so it will be able to accommodate engagement rings of all sizes without a problem. 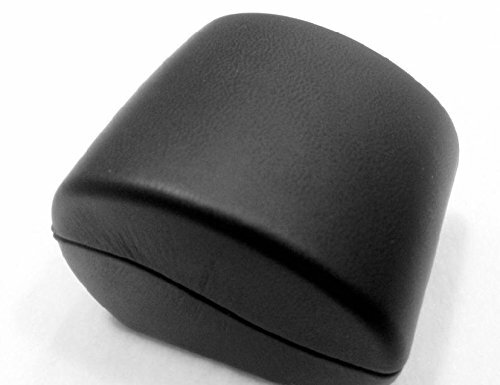 Its outer design is also simple and unique, featuring an interesting round edged shape. 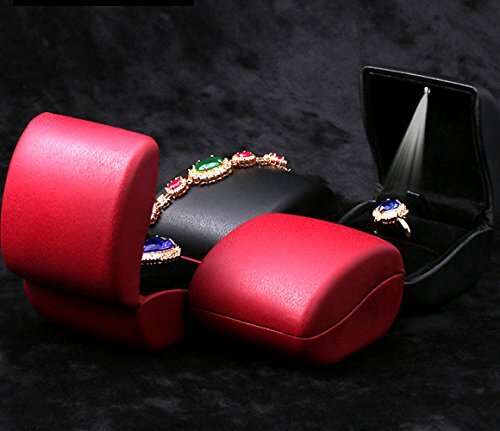 The box is also fit for the display of other kinds of jewelry such as brooches, rings, necklaces and so on. It is meant to protect and keep safe your precious items of jewelry while also displaying them with grace and in a one of a kind manner. 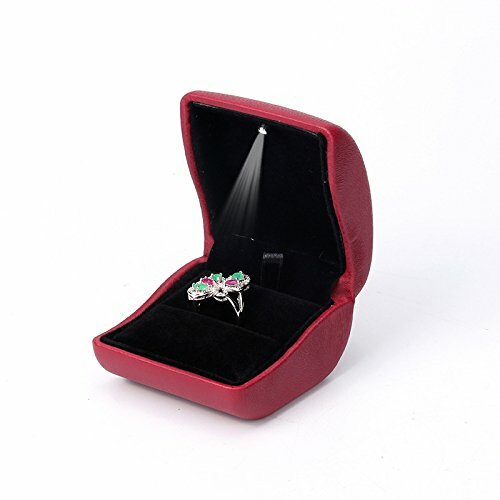 What is more, the box has also got a wonderful LED light that will keep your jewelry under the spotlight 24/7! 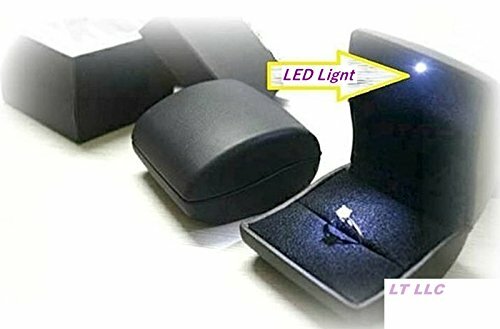 This product is a great way of presenting your engagement ring before your beloved or for the display of jewelry in jewelry retail shops too! 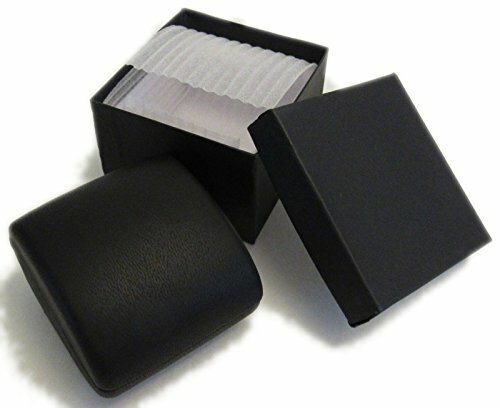 The dimensions of this item are the following: 3″ x 2.5″ x 2″ (W x L x H) and its weight is 3.2 ounces.